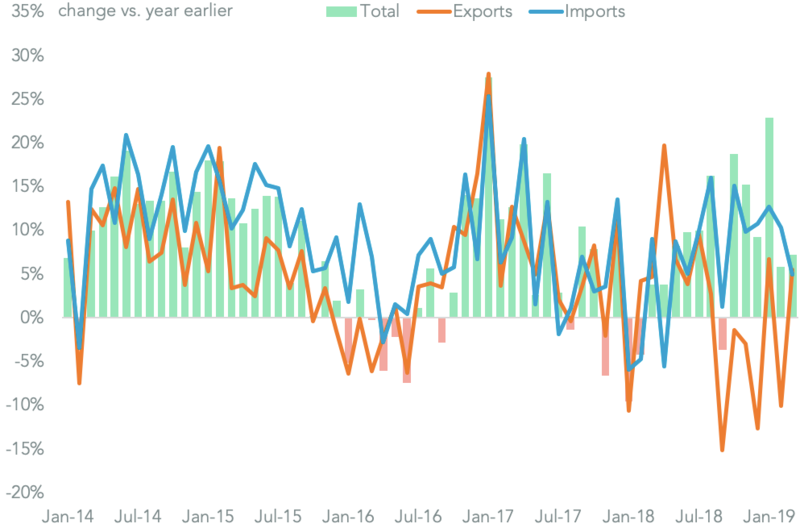 China’s international trade activity dropped in December, Panjiva analysis of official data shows, with exports having fallen by 4.4% and imports by 7.6% in dollar terms and having risen by 0.2% and dropped by 3.1% respectively in yuan terms. 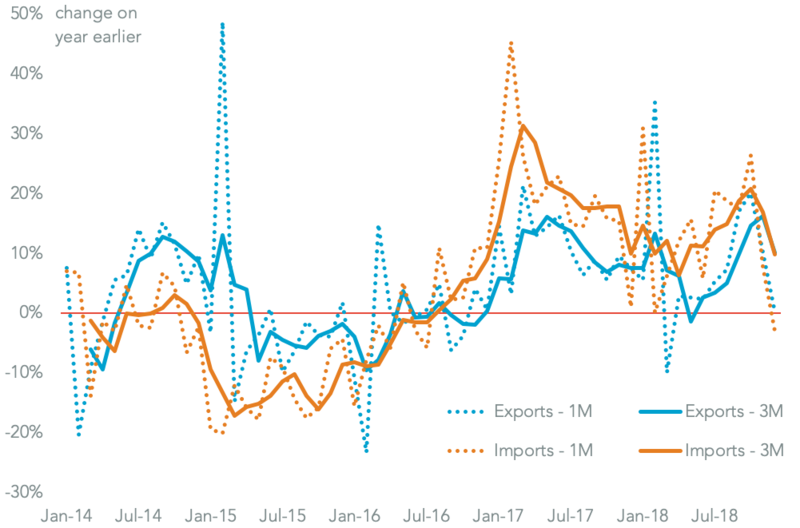 The drop in exports is a particular concern given that was the first year-over-year decline in dollars since Dec. 2016. Perhaps unsurprisingly a major culprit was trade with the United States. 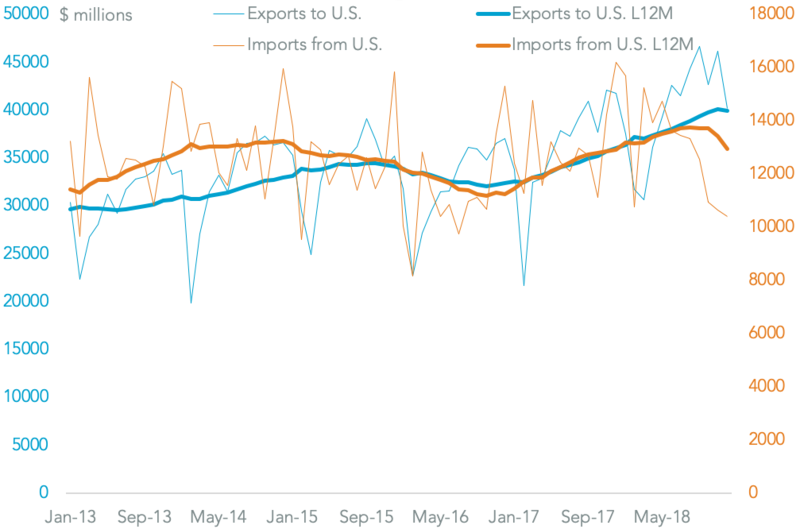 Exports to the U.S. fell 3.7%, the first non-seasonal decline since Oct. 2016. That would indicate an end to the pre-tariff purchasing rush by U.S. buyers following an agreement between President Xi Jinping and President Donald Trump at the start of December to hold-fire on increases while trade negotiations take place. Exports to the U.S. had previously climbed by 12.3% in the prior three months. 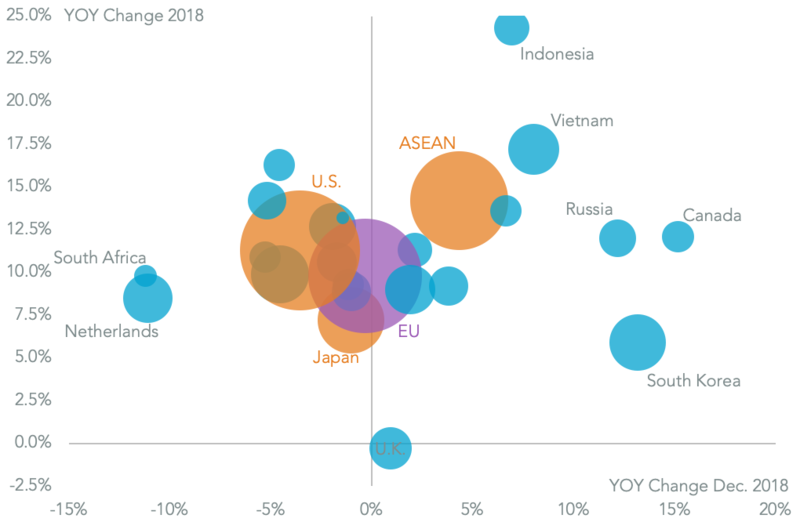 The negotiations continue until March, yet it is still clear that the U.S is a net loser from the tariffs. The decline in Chinese imports from the U.S. accelerated to 35.8% on a year earlier from 10.3% in the prior three months. 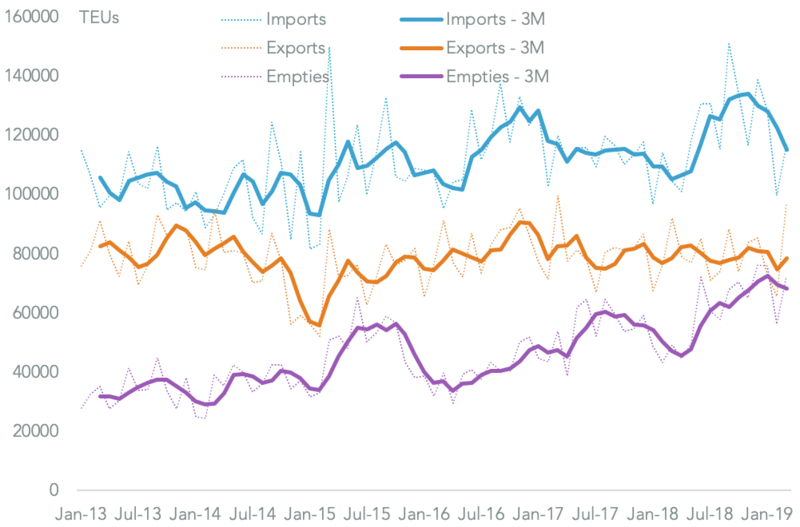 As a result Chinese imports from the U.S. fell $5.80 billion in December while exports fell $1.53 billion, a net balance of $4.28 billion “against” the U.S.
That shift may overshadow talks that, as outlined in Panjiva research of Jan. 9, are set to resume at the end of January. Yet, trade with the U.S. is not the only reason that Chinese exports fell. 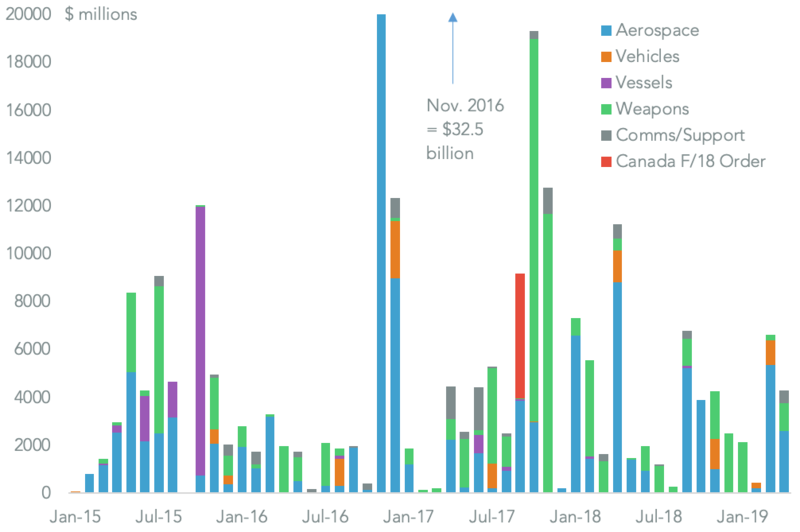 Shipments to Hong Kong were reported as having fallen by 26.0% – though that likely included volatile elements including gold – while exports to Taiwan dropped 1.7% and those to Japan by 1.0%. 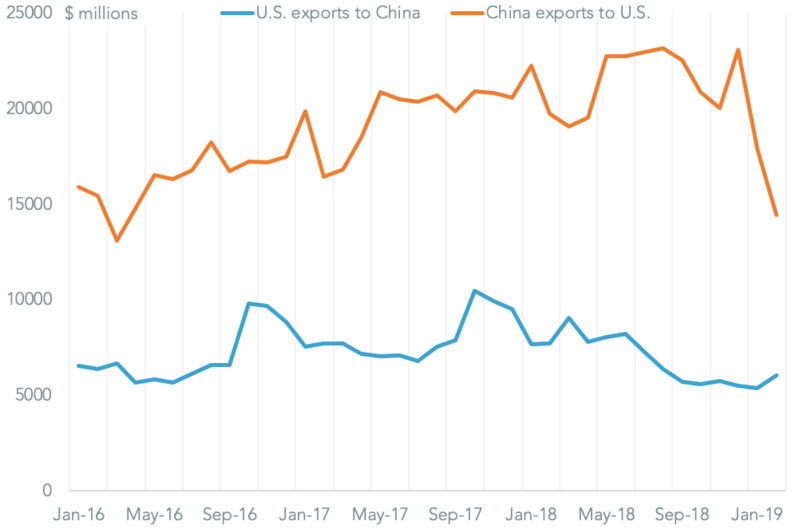 Those would suggest China’s economic problems are more widespread than simply the U.S. trade war.